An increased demand for prescription medications has led to an increased need for pharmacy technicians. The role of a pharmacy technician is to help pharmacists dispense medication to customers and/or health professionals. Before getting a job, pharmacy technicians are generally required to pass the National Health Career Association's ExCPT Pharmacy Technician certification exam or the Pharmacy Technician Certification Board's Pharmacy Technician Certification Exam (PTCE). Professional training programs for pharmacy technicians help individuals prepare for their exam and for their new career. Like many healthcare careers, the need for occupational therapy aides has greatly increased due to the aging population — job growth for this position is expected to increase 31 percent by 2024. An occupational therapy aide works under the direction of an occupational therapist to help patients develop, recover, and work on skills needed for their daily lives. In this role, individuals are responsible for transporting patients, cleaning equipment and treatment areas, setting up therapy equipment, and performing clerical tasks. Diploma programs for occupational therapy aides can help job applicants get the training they need to stand out to employers. Employment for physical therapy aides is expected to increase 39 percent by 2024. Physical therapy aides work under the supervision of physical therapists to help patients who are recovering from injuries and illnesses to regain movement and manage pain. This job typically includes helping patients move to and from the treatment area, cleaning and setting up therapy equipment, and doing clerical tasks. Diploma programs for physical therapy aides provide job training that can help individuals jump start their career in the field. Medical and health services managers are responsible for planning, directing, and coordinating medical and health services. In this role, individuals may manage an entire facility, a specific clinical area, or a medical practice for a group of physicians. 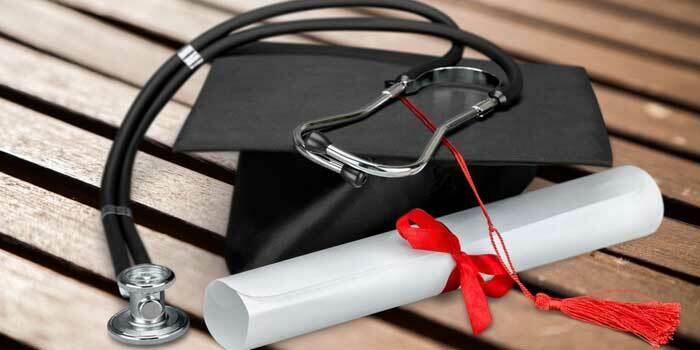 A bachelor’s degree in healthcare management is typically required to enter this field. Managers often come from prior work experience in an administrative or clinical role in healthcare, making it a viable career path for those already working in healthcare. Not only is the job outlook for registered nurses growing — employment for RNs is projected to grow 16 percent by 2024 — job requirements are also changing. Generally, licensed registered nurses can complete a diploma, associate’s or bachelor’s degree program to enter the field, but many employers are starting to require a bachelor’s degree. According to the American Association of College of Nursing (AACN), close to 79 percent of nurse employers strongly prefer BSN graduates. Registered nurses who have already earned an associate’s degree can enroll in an RN to BSN program to make themselves more employable or progress toward a higher rank (and higher salaries). How Far Can You Go with Your Nursing Degree?